When YSR Congress comes to power, the Krishna district will be named NTR. "The vice-speaker told the public that the Nimukuru would be developed in all respects after coming to power. NTR's relatives have taken the view of Jagan's corruption and illegality. Jagan has revealed irregularities in the water-tree scheme. In fact, Nimukuru was adopted by the IT department minister Nara Lokesh. 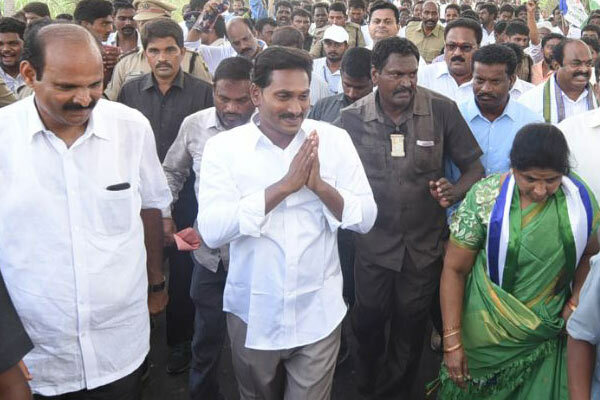 Jagan alleged that the TDP leaders in the village of Dattata village were in bad shape. As part of the 'Water Tree Scheme', the soil is dug three to four feet in the pond. That's why the scheme name is 50 feet dug and sells the soil. Besides, the government has been taking money from the government and said that they have been dug up. There are about Rs 50 lakh corruption in NTR's birthday, "Jagan said. Nandamuri Prabhu and others are from NTR's relatives who complained to Jagan.